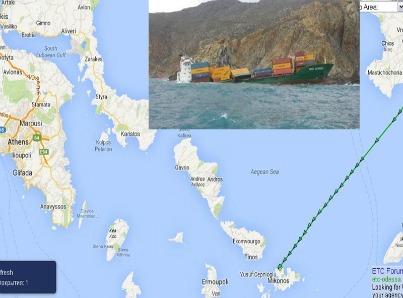 Turkish container ship, Yusef Cepnioglu, ran a ground in the early hours of March 8 on the rocks of the Northern tip of Mykonos Island, Aegean Sea, Greece. 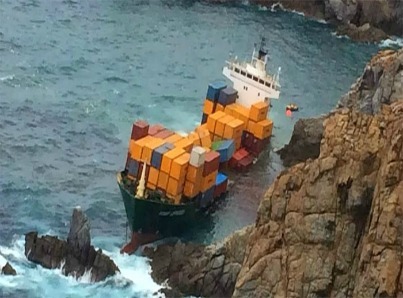 The Master ordered evacuation of the crew (12), but the Master and Chief refused evacuation and stayed on board. 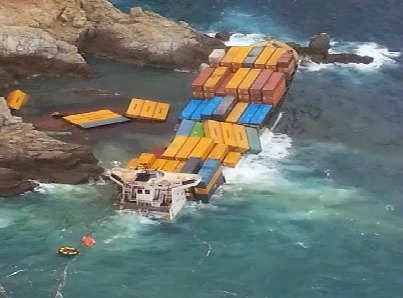 Later, the two remaining members were airlifted to safety by helicopter as the vessels condition was deteriorating. 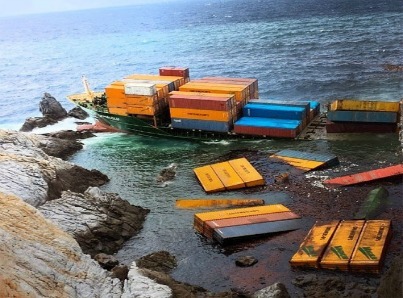 Several containers have been washed overboard, however they have been locked between the grounded vessel and the coastline. 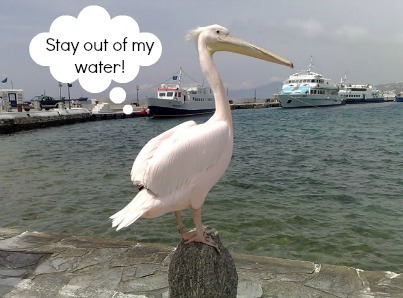 We here at EES wonder what Petro the Pelican would say about this?